If your fence is structurally sound, then the surface may just need a fresh coat of paint. This strategy is cost-effective and simply to master. The number of times you repaint really depends on where you live. If you live in an arid area, for example, you may not need to paint as often. Now you need to ask the important question: Do you paint or stain your fence? Both options offer different results. Painting is typically less expensive, but more maintenance is involved. Acrylic latex, in particular, is a great paint to use. It essentially creates a moisture barrier, protecting your fence from rain and condensation. It also has an uncanny ability to contract and expand during temperature fluctuations, a characteristic that helps it resist cracking during seasonal changes. Initially, staining your fence may be more expensive, but the stain absorbs better into the wood. You therefore won’t have to maintain it as often, like you would with paint. Sometimes your fencing is so damaged that no amount of work makes it look vibrant and new. In this case, you should install a completely new fence around your property. Today, you have many stylistic avenues to explore. A lot of homeowners like conventional wood fences, since they are easy to maintain and the materials are simple to track down. Others prefer something more durable, such as a metal fence. Fencing companies in Orange County can help you narrow down your material choices and provide fencing whenever you are ready. A little less traditional, on the other hand, is a bamboo fence. At the surface, bamboo looks like wood, but in reality, it is composed of grass. This species of grass grows in rapid fashion and is quite abundant. You can do your part to better the environment by electing to use this material. In fact, did you know that bamboo is even stronger than conventional wood. Termites are no match for this material since they can’t digest the high amount of silica naturally found in bamboo. Just because your fence is falling apart, doesn’t mean your curb appeal has to either. Get in gear and consider an upgrade, whether you paint it or install a new fence. 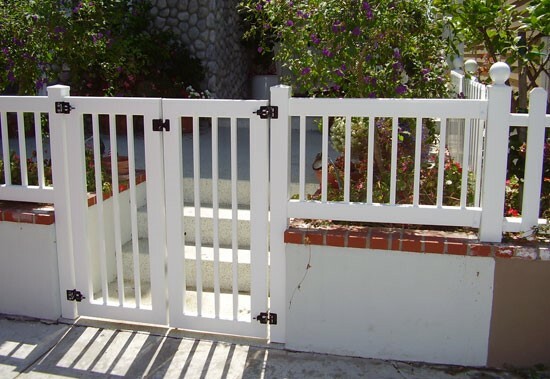 Companies who deal with fence installation in Orange County can help with the process, making sure you have a fence that is charming and structurally sound.